Box Office Collection: This classic film became a hit and earned Rs 1.70 Crores at the Indian box office. 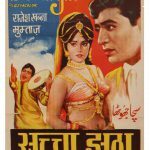 Interesting Information: All-Time Classic Film In Old Hindi Movies List 1970. This film won Filmfare Best Film award. Sanjeev Kumar played a character of “Vijaykamal” who lost his mind due to the death of his lover. Mumtaz was seen in the role of “Chand”. Before Mumtaz, Veteran actress Waheeda Rehman was the first choice for this role. But later on, actress Mumtaz delivered a remarkable performance and won her 1st Filmfare Best Actress Award. 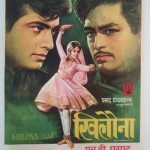 Khilona was a remake of original Telugu film “Punarjanma”. Shatrughan Sinha had played a villain “Bihari”. But first time producer’s rejected Shatrughan Sinha for this role. They felt that he was too young to play villain character. 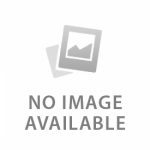 Box Office Collection: This blockbuster film collected a huge amount of Rs. 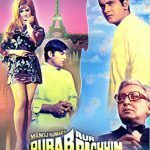 4 Crore and became the Highest Grossing Film Of The Year 1970. Interesting Information: Dev Anand made a big comeback with this blockbuster film. I.S.Johar won Best Comic Actor Filmfare award. Dev Anand’s brother Vijay Anand won Best Screenplay and Best Editing Filmfare Awards. He was one of the highest paid directors of that time. Melodious dong “Pal Bhar Ke Liye” was used in American TV show named The Simpsons. Box Office Collection: Sachaa Jhutha made a business of Rs. 2.70 Crores and became superhit film of the year. Interesting Information: Rajesh Khanna’s Best Actor Filmfare in Old Hindi Movies List 1970. Before superstar Rajesh Khanna, producers approached veteran actor Shashi Kapoor for the leading role. But he refused their offer because he did not want to work with actress Mumtaz. 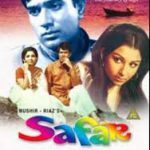 Verdict & Awards: Another Classic Bollywood Film in Our Old Hindi Movies List 1970. Verdict & Awards: Super hit. Who can forget the song “Bharat Ka Rehnewaala Hoon”? This film is considered as one of the best patriotic films. Verdict & Awards: 3 National Award Winner film in Old Hindi Movies List 1970. Sanjeev Kumar won Best Actor National Award. Verdict & Awards: Super hit and second highest grosser of the year. Verdict & Awards: Hit, The film was one of the highest grossing movies of the year 1970. Verdict & Awards: Super hit. One of the best film of Dharmendra’s career. Box Office Collection: This cult film made in the huge budget of 1 Crore. Unfortunately, it became a flop and earned Rs. 1 Crore at the box office. This film considered a biggest commercial disaster for Kapoor. 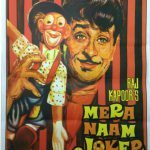 Interesting Information: Raj Kapoor’s son Rishi Kapoor made his film debut as a child actor. He won the national award for his mind-blowing performance. It was the first Bollywood movie which had 2 intervals. 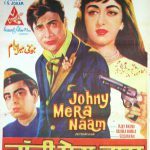 Showman Raj Kapoor invested all money in the making of this film, he also mortgaged his house for this film. Information: Whenever we are The film was a super hit and Tragedy king Dilip Kumar received a nomination for Filmfare Best Actor. 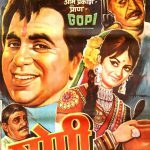 Verdict & Awards: Jubilee Hit In Old Hindi Movies List 1970. 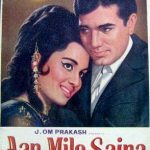 Verdict & Awards: Musical Hit In Old Hindi Movies List 1970. The soundtrack of this film is among top 50 soundtracks of Bollywood. Verdict & Awards: Average Hit. The film won the Filmfare Best Cinematographer Award. Verdict & Awards: Average Hit, This Movie won Filmfare Best Supporting Actress, Best Music Director, Best Lyricist and Best Male Playback Singer Awards.